Beyond Organic is a range of 100% natural, certified organic skincare which hails from Cornwall. The packaging has a homemade feel to it which is functional if not particularly luxurious. 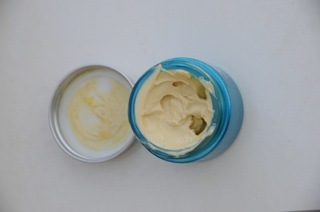 I was sent Organic Rescue Salve which contains Chamomile and Calendula. It's made around a base of Sea Buckthorn Oil which deeply penetrates the skin and has been used in the treatment of burns. It's a handy little multitasker to keep in the bathroom cabinet to treat the whole family as it is designed to help with skin irritations such as eczema, dermatitis and even psoriasis. It can also help with bites, grazes, cuts, rosacea and inflamations. The Organic Rescue Salve isn't cheap at £28.86 for 50ml. A little of this rich cream goes a long way and delivers on its promises of soothing skin via pure ingredients and for this reason, I think it's worth the money. However, I do feel that there are more indulgent organic products on the market for the price and if you're new to organic beauty, I'd recommend either checking these out first or trying a more affordable product and working your way up. I was surprised at both the texture and the colour of the salve as I expected it to be a balm formula but I was impressed with the results. ﻿There are plenty of Beyond Organic products to choose from, whether you like the temptation of chocolate lip balm or the simple effectiveness of organic body oil. 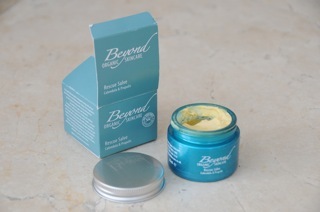 Visit http://www.beyondorganicskincare.com/ for details.